Yarn and Fiber Happenings: Noro Yarns, Queensland Yarns, and Lana Grossa Luxury Yarns on Sale This Weekend at the Yarn and Fiber Company March Madness Sale! Noro Yarns, Queensland Yarns, and Lana Grossa Luxury Yarns on Sale This Weekend at the Yarn and Fiber Company March Madness Sale! Welcome to The Yarn and Fiber Company March Madness Sale! Every weekday the sale changes at Noon (Eastern Time) so check back daily for great savings on your favorite yarns! Today's sale runs March 6, 2009 at Noon (Eastern Time) through March 9, 2009 at Noon (Eastern Time). 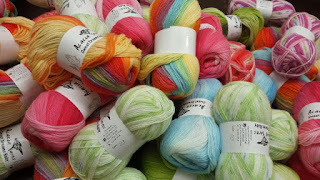 New yarn sales featured everyday! Check back daily so you don't miss out on your favorite yarn! Sale rules and policies: The Yarn and Fiber Company March Madness sale begins promptly on February 27th at 12:00 PM EST and ends on March 31st at 11:59 AM EST. Friday sale post will run from 12:00 PM EST to the following Monday 11:59 AM EST. Yarn lines change daily at 12:00 PM EST. Your online order must be placed prior to 11:59 AM EST to receive the sale price for that day. 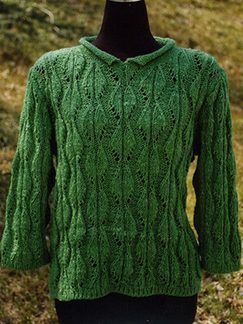 All sale yarns are final purchase - no returns and no cancellations of orders excepted. Sale price does not apply to special orders or backorders. Sale applies only to in-stock yarn. The Yarn and Fiber Company reserves the right to remove and/or add items to the sale on any given day at any given time without notice. Items that run out of in-stock quantities may be removed from the online sale without notice as deemed necessary by The Yarn and Fiber Company.